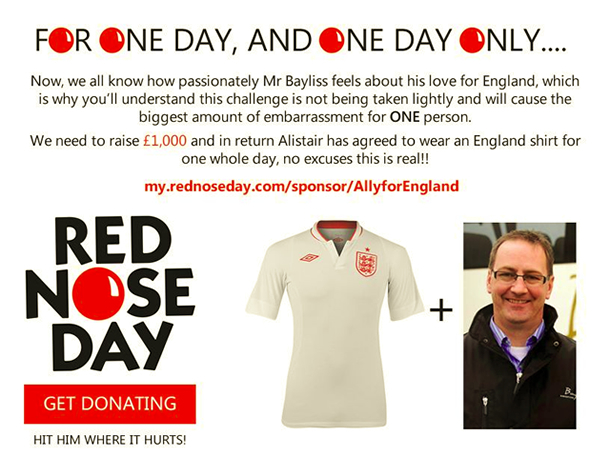 ow, we all know how passionately Mr Bayliss feels about his love for England, which is why you'll understand this challenge is not being taken lightly and will cause the biggest amount of embarrassment for ONE person. We need to raise £1,000 and in return Alistair has agreed to wear an England shirt for one whole day, no excuses this is real! !